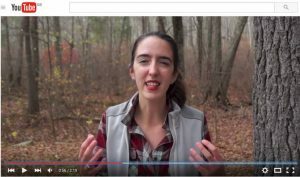 My name is Claire Hopkins, and I run the website Brilliant Botany, a plant science education site. As an undergraduate I studied Plant Biology and English, intending to go into science writing, which I did. . . sort of. 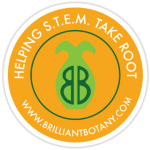 I started Brilliant Botany on Tumblr in 2011, while I was a student, to share my enthusiasm about plants with the internet, since my friends were tired of hearing about botany all of the time. Though to be fair, I’ve probably started to talk about plants more as a result. I created blog posts about the things I was learning in class and posted photos I had taken. 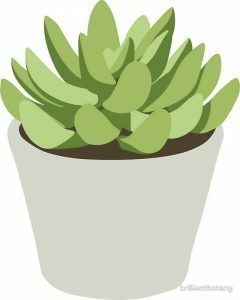 I slowly gained a following, since it turned out people enjoyed learning about cool and interesting plants. So I continued creating short posts, taking more photographs and interacting with my followers. My ability to create content on Tumblr was limited, however. Tumblr is, largely, well-suited for photo-heavy posts with only a small amount of text, and I wanted to tackle more complex concepts and connect more with my audience. As a longtime member of the YouTube community, watching creators like the Vlogbrothers, Crash Course, Wheezy Waiter, The Brain Scoop and many more, I was familiar with video as a communicative medium, and the amazing ways it can be used to educate. So in 2013 I started the Brilliant Botany YouTube series. I started with very basic topics that I was familiar with, but today my videos involve more research, covering famous botanists, unusual plants, tutorials or whatever I feel like talking about that week. I’m particularly interested in interesting plant physiology, like gravitropism, and connecting science with other disciplines, like history and art. I also aim to bring more women into S.T.E.M., as there is still a dire shortage of women in science careers. You can check out my video about that here. My goal is to educate, and to inspire enthusiasm about the life sciences and the natural world. That’s how I entered the world of science communication, but how can you start telling the world about the amazing things happening in plant science? Here’s some advice on how to find your audience and engage with them as a communicator and storyteller. Are you a writer? A graphic designer? Are you interested in video work? Decide how you want to tell your story. If you want the option of visuals to communicate complex concepts, video might be for you. Or maybe you don’t have as much time, or access to a camera? Then writing might be a good choice. Think about your existing skills, but don’t be afraid to try something new. I’m entirely self-taught when it comes to video and graphics work. This might be a bit trickier. I started on Tumblr because I was already a member of the community, and saw a niche for science content there. For video work, you could use YouTube, or Vimeo. For writing, there are many blogging platforms, choose the one you’re most comfortable with. This is the hardest part of science communication. My audience grew slowly, and I made extensive uses of ‘tags’ on tumblr, so that users browsing the ‘science’ tag, for example, might come across my content. You can get really sophisticated, using techniques like Search Engine Optimization (SEO), but if you create consistent, engaging content, your audience will find you. It is good to keep your audience in mind when selecting a platform. I was hoping to engage young people with plant science, and Tumblr has a large user population of young people. The most important aspect of educating is passion. Talk about what excites you, because that will pull in your audience and keep them watching. Don’t qualify your topic with things like: “You might think this is boring but–.” Whatever you’re talking about is awesome, and you don’t need to pretend otherwise. I see this a lot with underappreciated disciplines like plant science, but people don’t think plants are boring! They think they think plants are boring, they just haven’t learned enough about them yet. Don’t worry too much about video quality. If you’re working in video, you don’t need a professional set-up to make great content. Smart phone cameras these days are so sophisticated you can get away with using an iPhone. Just make sure the area where you film is well-lit, and minimize background noise. Focus on the story you’re telling and go from there. Make sure the images, music or video you’re using are safe to use and properly attributed. I use the wikimedia commons to find images, where I can, or use my own photographs. If you’re starting a blog or a YouTube channel, sticking to a schedule will help you get an audience and keep it. Decide if you’re comfortable committing to a schedule, and pick one that works well for you. I post a video once a week, but started at every two weeks. Whatever you choose, consistency is key. The community is your friend and your resource. Collaborations can help grow your audience, and they can just be fun! Comment on other folks’ work, ask questions, and talk on twitter. I’ve gotten some of my best opportunities because of twitter (including this blog post!). Those cover just a few aspects of getting started in science communication on the net. I’ve included some links to awesome science YouTubers below, since video is my medium. We’re desperately in need of great science communicators, so if you’ve considered blogging, creating videos or anything of the sort, now is the time to start! You have the internet at your disposal, and an existing community of science communicators to support you. 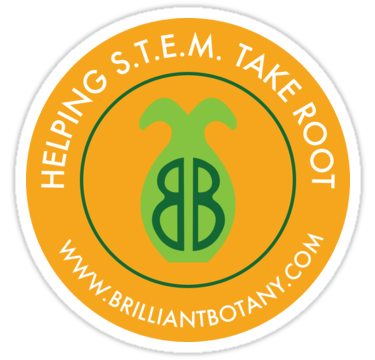 I’d love to hear your thoughts, so I’ll be keeping an eye on the comments, or you can tweet me @brilliantbotany! Editor’s note: Ineterested in science communication? Check out our Behind the Scenes chats with In Defense of Plants author Matt Candeias and Nature’s Depth author John Palka. Do you know a plant biology science communicator you’d like to see featured here? Send your suggestions to mwilliams@aspb.org. I started following Claire’s tumblr, and was immediately hooked! It’s always great to watch people grow as content creators. I know I’ve certainly learned a lot, and have been directed to other fantastic resources in the process. Thank you for all the amazing resources and hard work!